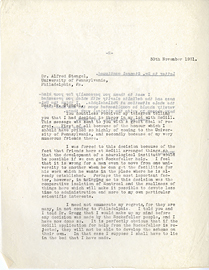 Letter from Wilder Penfield to Alfred Stengel, November 30, 1931. 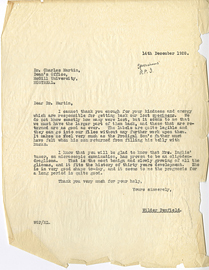 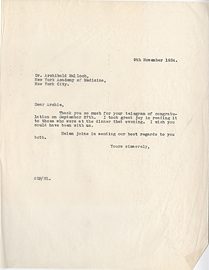 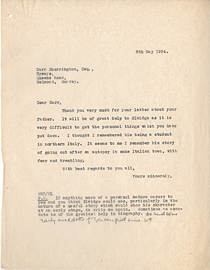 Letter from Wilder Penfield to Archibald Malloch, November 9, 1934. 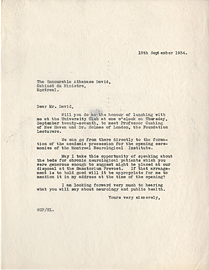 Letter from Wilder Penfield to Athanase David, September 18, 1934. 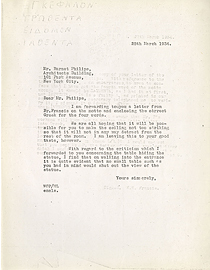 Letter from Wilder Penfield to Barnet Phillips, March 1, 1934. 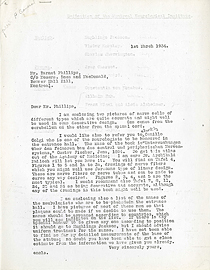 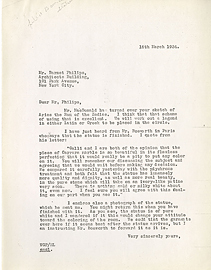 Letter from Wilder Penfield to Barnet Phillips, March 16, 1934. 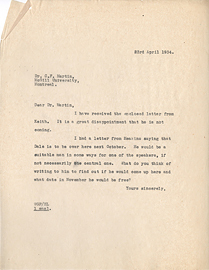 Letter from Wilder Penfield to Barnet Phillips, March 28, 1934. 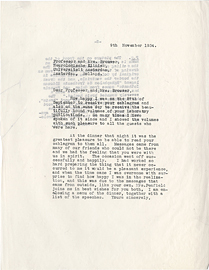 Letter from Wilder Penfield to Bernardus Brouwer, November 9, 1934. 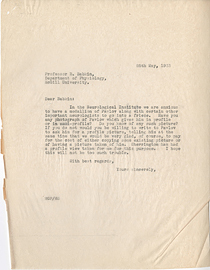 Letter from Wilder Penfield to Boris Babkin, May 25, 1933. 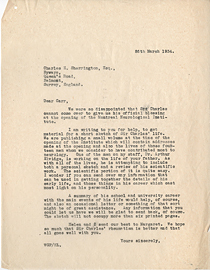 Letter from Wilder Penfield to Charles F. Martin, August 21, 1931. 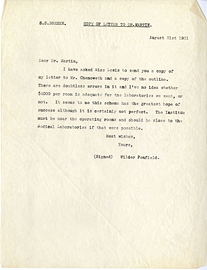 Letter from Wilder Penfield to Charles F. Martin, December 14, 1928. 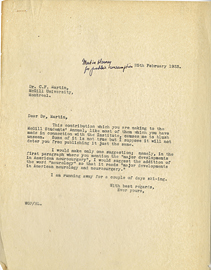 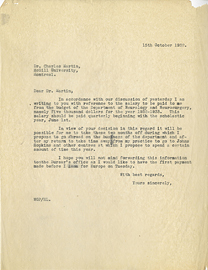 Letter from Wilder Penfield to Charles F. Martin, February 25, 1933.